Hey everyone! How are you? Today I’ve been slowly trying to get my house back together after last month’s crazy busy schedule. Everything is in dire need of organization and I am definitely someone who gets easily overwhelmed! I’ve been fighting a head cold that’s been going around too, so my energy level has been less than it should be lately. The kids have been busy at school this week and today we went to Emma’s school and attended Family Math night. The girls are also going to do a little cheer-leading clinic tomorrow and will perform before the High school girls’ basketball game next Tuesday. Speaking of sports – my little Emma has told me she doesn’t want to do soccer this spring. Am I shocked? No. but it will definitely be a little slower kind of spring. Anika wants to do soccer, but I’m still trying to figure out when her club will start. Emma did tell me that she really wants to do T-ball, which is fine with me because I’m pretty sure Anika will not play softball this year. Poor Noah on the other hand is just itching to start something, and I’m sure he’ll begin playing sports this year. In other news, Valentine’s Day is coming up soon! Have you begun filling out your cards yet? We’ve been slacking but I’ve got to make that happen this Sunday. When I think of Valentine’s Day the first word that comes to my mind is: chocolate. I love it. In fact, I made a yummy chocolate mousse last night (I’ll share the recipe next week!) 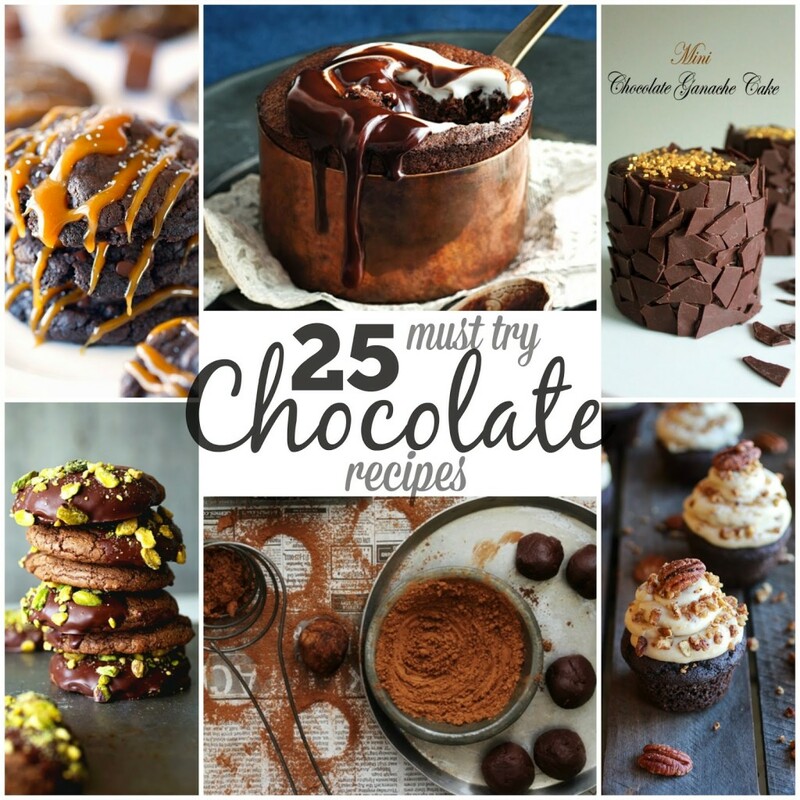 and while I was looking for recipe inspirations I decided to make a new Foodie collection…and ended up collecting 25 different chocolate recipes that I really want to try and make sometime. What are your favorite chocolate recipes? Do you prefer milk or dark chocolate? (Or perhaps white?) I personally used to dislike dark chocolate, but I guess maybe it’s because I’m getting older, but I’m really getting into a little more of a dark and bittersweet taste vs. extra sugary. Are you making any chocolate treats for Valentine’s Day? Oh yum! I dob't know which one to choose, they all look amazing! I am making a dessert with chocolate in it, and I am so excited to dig in! It's my peanut butter nutella crescent rolls! If you are ever in my blogging neighborhood, stop by and check them out! 🙂 Stopping by from moonlight & mason jars! I think I could easily go into chocolate overload just looking at this photo! Thanks for linking to the This is How We Roll Link Party. See you on Thursday!